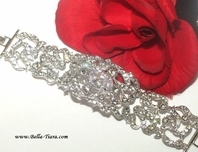 Blossom - Elegant vine CZ bridal bracelet - SALE!! 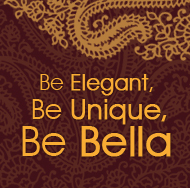 HOME / BRIDAL JEWELRY / Wedding Bracelets / Blossom - Elegant vine CZ bridal bracelet - SALE!! 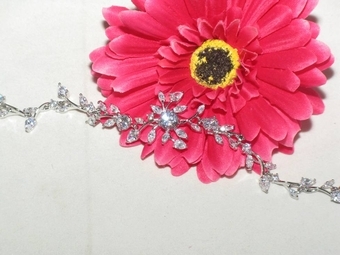 Cubic Zirconia vine bracelet, perfect bracelet for that special day. bracelet measures 6 3/4" long, fits standard size wrist or larger, if your wrist is really small I don't suggest as it will twist on your wrist.